Add products on blog, news, topic pages for promotions and add news and blog posts on product details page. This plugin allows the store's owner to add the list of products on blog, news, topic pages for promotions. Plugin is very plain. Plugin can add news and blog posts on product details page too (from nop 4.00). 1. Each blog, news, topic has new tab in admin mode. 2. You can set the widgetzone on blog, news, topic page. 3. 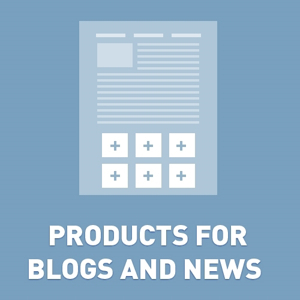 You can set the maximum count of products on blog, news, topic page. The unregistered version has only one limitation – 25 products. Compatible for NopCommerce 4.10, 4.00, 3.90.